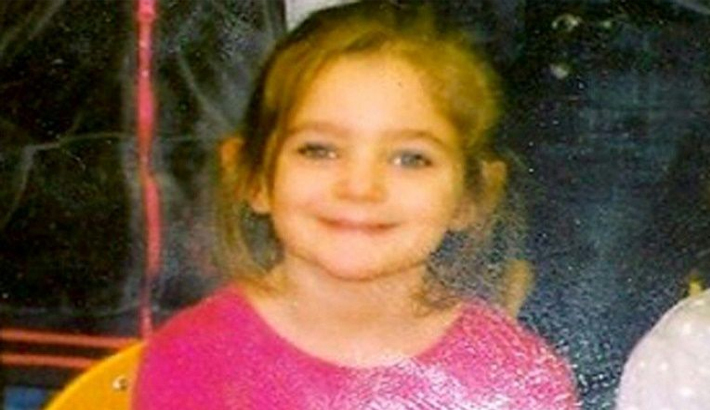 LE PUY-EN-VELAY: A French appeal court on Sunday sentenced a mother and her ex-partner to 20 years for the brutal murder of her five-year-old daughter whose disappearance in 2013 shocked the country, reports AFP. Cecile Bourgeon, 30, drew nationwide sympathy in May 2013 when she appealed for help in finding the blonde, blue-eyed five-year-old, saying she had disappeared from a public park. But four months later, she and her then partner Berkane Makhlouf both admitted they had buried her in a forest near the central city of Clermont-Ferrand, saying she had died in an accident at home. In 2016, a lower court had acquitted Bourgeon of murder but sentenced her to five years for lying about her daughter’s fate while handing Makhlouf 20 years behind bars. But following a two-week appeal hearing in Le Puy-en-Velay in central France before a nine-member all-woman jury, the sentence was overturned with Bourgeon handed a 20-year penalty for her daughter’s death alongside Makhlouf, 36. Prosecutor Raphael Gentile de Sanesi described the couple as a pair of “torturers”, who had collaborated in the “ongoing violence” suffered by the child during “the days and hours leading to her death”. The couple’s deceit and the brutal truth that one or both of them killed Fiona sparked a wave of local fury even though details of her death remain shrouded in mystery. Bourgeon, a drug addict, initially said Fiona had been “accidentally punched” and then claimed that Makhlouf had beaten her to death in a drunken fury. He in turn accused her of kicking the little girl in the stomach and the head, according to his lawyer. But they both maintained that the violence was not the cause of Fiona’s death, claiming it was due to some form of “domestic accident”. On finding her body in the morning, they said they panicked.